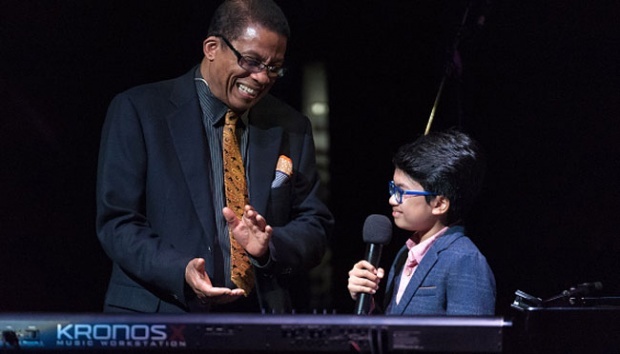 Joey Alexander, the pint-sized prodigy is in the running for two Grammy categories this year—making him one of the youngest musicians ever to earn a nomination. All from learning to play the piano largely by listening to jazz records and YouTube videos. At the age of 9, Alexander won the Master-Jam Fest in Ukraine. Wynton Marsalis, iconic jazz trumpeter and the artistic director of Jazz at Lincoln Center, saw a video of Alexander performing, and invited him to make his New York debut at a gala held at the venue in 2014. After wowing crowds and critics during that performance, Alexander and his family moved to New York City to further his career. Last spring, he released his first album, My Favorite Things (Motéma), which in December was nominated for Best Jazz Instrumental Album and includes a track nominated for Best Improvised Jazz Solo. Check out the video below, and watch CBS News’ recent interview with the rising star.